We’re all for the fringes, gold that slips under the radar, for the tactile, the limited run, the unlikely and the unusual – this July we had Luke Thompson from Guillemot press round for Creative Breakfast. And, spurred on by tales of rediscovered manuscripts from erring nuns and printing presses that burst into flames, we got onto talking about just what it takes to be a ‘small press’. Luke’s output is mainly poetry, but Guillemot publish short stories and non-fiction too. The books are carefully considered and unlike anything else that’s out there. Look out for the press’s collaborations with artists and big name poets. The novella’s on a comeback, the lit crowd will have you know, and Oxford-based Fairlight’s gorgeous Moderns series offers a good place to get stuck in with the form. Practically our neighbours, Atlantic Press Books grew out of the MA Illustration course at Falmouth University. 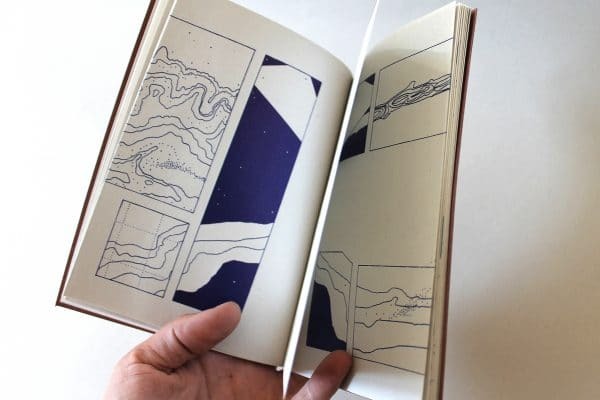 They publish unusual and beautifully produced graphic literature, showcasing illustrators’ authorial work. With a bold political voice, and an emphasis on the margins of culture and overlooked narratives, Influx Press is an example of what can be achieved away from the mainstream, and why it’s important to try. And if you’re into small press publishing, we’ve some plans in the pipeline – so make sure you’re signed up to our newsletter and stay in the loop.